In the second of her posts on modern views of the Middle Ages, Laura considers how the work of the engaging historian is a careful balancing act between over-simplification and mind-boggling detail. Does a simplistic view of the Middle Ages hide interesting facts, and darker truths, from a non-specialist audience? In contrast to all the complications of modern life, the Middle Ages is often seen as a return to nature and the land: a healthy outdoor life lived out in the fresh air, rather than sitting in an office all day staring at a computer screen. Medieval peasants did indeed live and farm in a completely ‘organic’, ‘local’, ‘artisan’ and ‘sustainable’ way. But they also regularly starved to death. Few of us really dream of a world without modern medical care or pain relief. 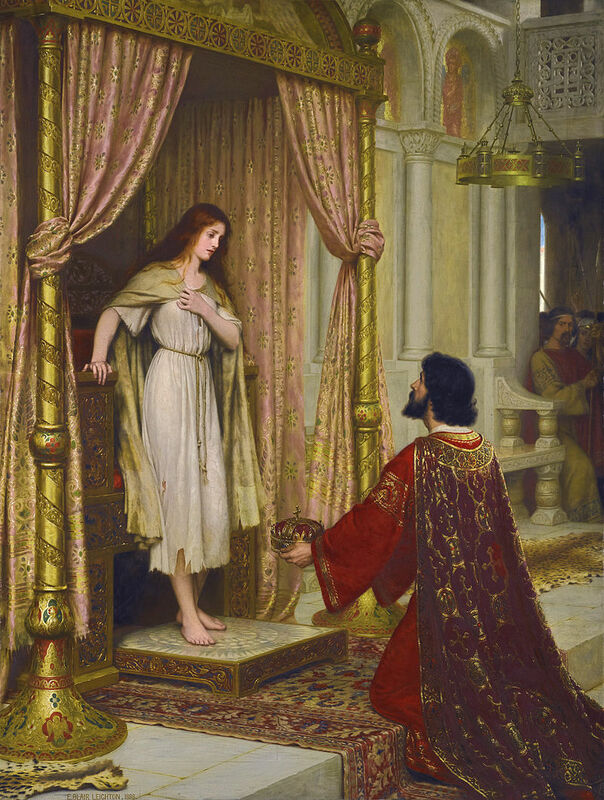 Other visions of the primal simplicity of the Middle Ages are even darker: an all-white world ruled only by rich men, in which women and poor people know their place, Jews are a despised, regularly massacred minority and Muslims feature only as ‘infidels’ to be swept under the trampling hooves of the crusader. Summarised as crudely as this, such an extremist and simplistic view of medieval society seems laughable. But it’s surprising how often imagined medieval pasts have been used to support political violence and hate speech. The famous battle cry used by the knights fighting in the First Crusade, ‘Deus le volt’ [God wills it], for example, has been used as racist graffiti. Much of academic research is about fiddly details and tiny nuances: a re-dating of a window here, a re-reading of a source there, an extended and deeply dull argument (perhaps across decades) about exactly what happened to the manorial economy of Suffolk after the Black Death. 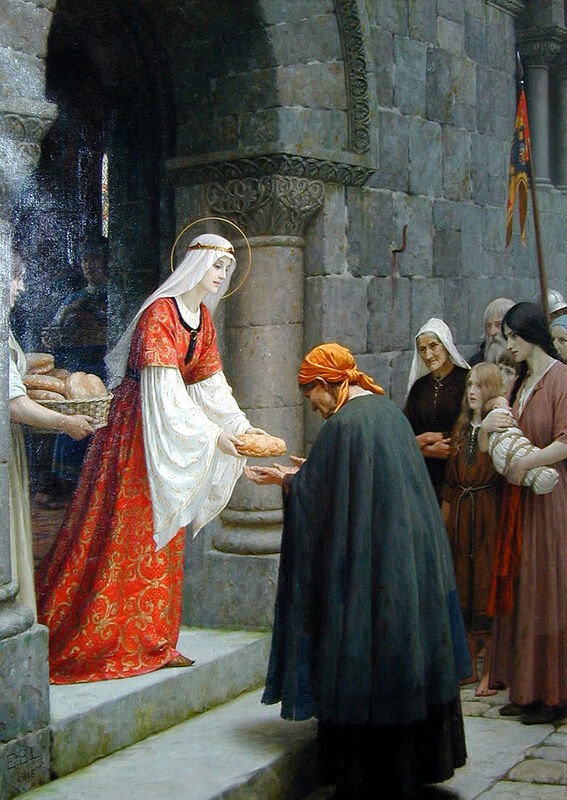 Edmund Leighton, ‘The King and the Beggar-Maid’, 1898, Collection of Fred and Sherry Ross. So part of academic public engagement is pointing out that things were more complicated than they first seem. Just like society today, the medieval world was rich in its contradictions, complexities and paradoxes. Yet it can be difficult. Much of academic research is about fiddly details and tiny nuances: a re-dating of a window here, a re-reading of a source there, an extended and deeply dull argument (perhaps across decades) about exactly what happened to the manorial economy of Suffolk after the Black Death. It can be boring and incomprehensible to a non-specialist audience, even if the result is that our understanding of say, life in Suffolk in the later fourteen century is completely transformed by the end of this long, slow process. The romantic dream-world remains far more fun! So the challenge when making a 30-second video is to summarise our work without all those pedantic details that academics spend most of their time picking over. Hard choices have to be made about what to leave out and what to put in, as in my recent experience of making a video about Philippa of Hainault’s early years in England. More about this in my next post!